Fill Your Tummy On A Lazy Sunday With This Brekkie Combo! Looking for a great place to savour on all the best breakfast dishes from Karnataka on a lazy Sunday? Then head to this outlet MTR where the best of the best dishes are served as a combo to taste the breakfast to break your hunger at the start of the day. 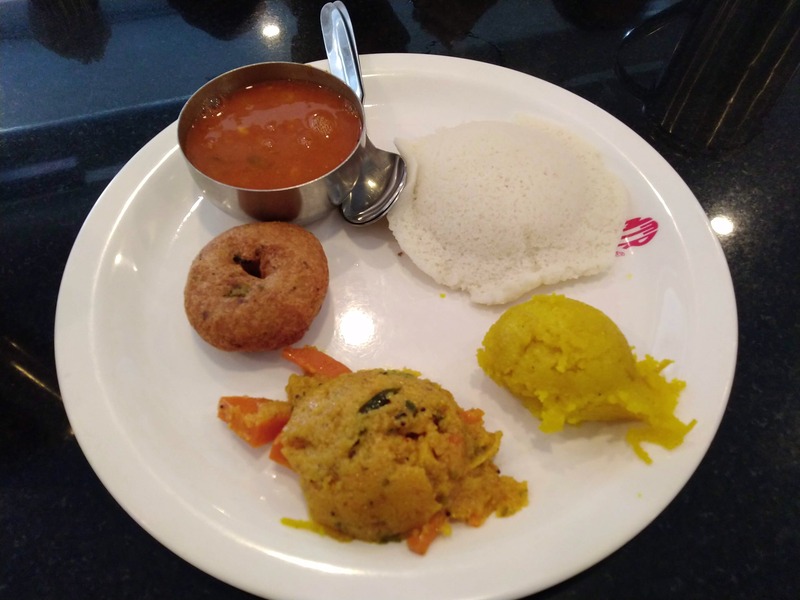 Combo consists of Idli - very fluffy baked rice cake and soft which just melts with a simple cut of the spoon and flavours that relates to your homey types. Vada - Small yet elegant fried savoury doughnut made from lentils which with the combination of sambar and chutney tastes great. Upit / Kharabath - A special rava dish made with the right amount of ghee that makes it more nourishing and tasting great along with the veggies. Kesaribath - A sweet dish made with sugar, rava and saffron & dry fruits, here they add a bit of rice semiya that adds depth and strength to the dish. Mini masala dosa - An iconic dish that is reminiscent of India as a breakfast dish - in a smaller avatar, adds just the right calories to kickstart your day. Coffee - A mini coffee cup that is right enough for a person to get your caffeine intake for the day! Tip - if you like the coffee strong, tell them earlier or ask for extra decoction. Dosa can also be asked to be made as per your request- personal choice is that crust be roasted to get that crunchy flavour. Other dishes to try - Open Masala Dosa, Flavored Milk, Ragi Dosa, Poori and Sabji, Rava Idli and an assortment of other sweets that can be bought there as a parcel.